Finalists in Intel’s “Make it Wearable” Challenge #WearableWednesday « Adafruit Industries – Makers, hackers, artists, designers and engineers! They belong to wearable technology entrepreneurs hoping their prototype will win them enough cash and industry connections to hit the big time. 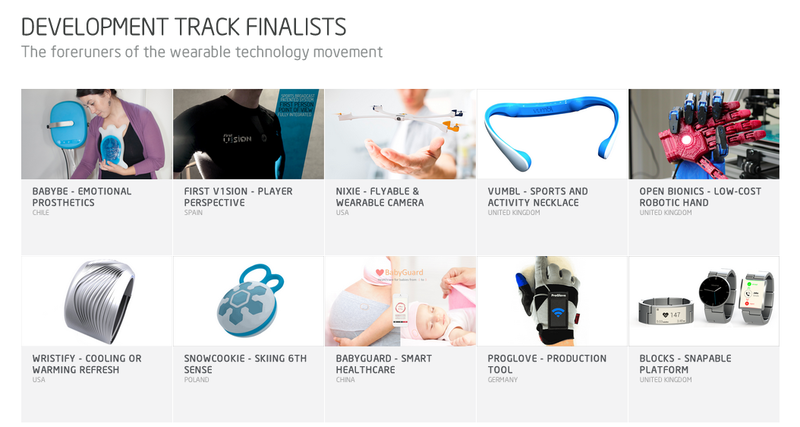 These innovators are pushing the envelope, creating everything from a wearable camera drone that captures awesome selfie videos to sensor equipped items for pregnant mothers and parents of newborn babies. Make it Wearable is a global initiative that was announced by Intel at CES 2014 to inspire new concepts, fuel innovation and evolve personal computing in exciting new ways. The challenge has welcomed anyone with ideas, including university and high school students, entrepreneurs, members of the maker community, engineers, technologists and visionary thinkers, to create new wearable technologies using Intel’s Edison technology.